Home / Other Political News, Politics / Here is what DCI GEORGE KINOTI said about the murder of Moi University student IVY WANGECHI- Did she infect her killer with HIV and AIDS? Here is what DCI GEORGE KINOTI said about the murder of Moi University student IVY WANGECHI- Did she infect her killer with HIV and AIDS? 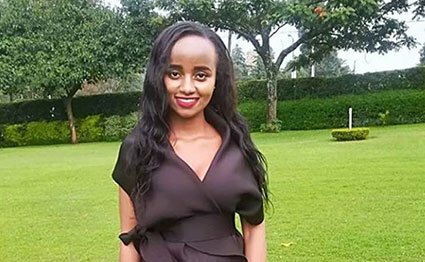 Wednesday April 10, 2019-Directorate of Criminal Investigations (DCI) has today dispatched 12 officers from Nairobi to Eldoret to investigate the gory murder of Moi University medical student, Ivy Wangechi. Wangechi was reportedly hacked to death by her lover Naftali Kinuthia outside Moi Teaching and Referral Hospital's gate on Tuesday. Sources said Naftali, who was working for a local betting firm, hacked Wangechi to death after realizing that she had infected him with HIV virus which causes AIDS. In a statement DCI said they will get to the bottom of the matter and all those involved in the gory murder will be brought to Justice. “Detectives have commenced investigations following the brutal killing of Ms. Ivy Wangechi-a sixth year Medical student at Moi Teaching & Referral Hospital. The suspect; 28-year-old Naftali Njahi Kinuthia was arrested & is helping the Detectives in the Investigations,” DCI said in a statement on Wednesday morning. Meanwhile, friends of Ivy Wangechi have dismissed rumour that the deceased was HIV positive and was taking ARVS secretly.